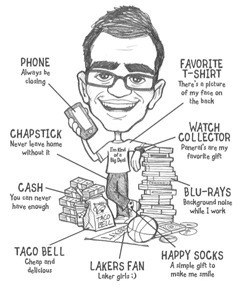 For a part-time blogger, Neil Patel is pretty successful. Patel’s main focus is KISSmetrics, a mid-sized company that helps businesses track important online metrics. His business and marketing blog, Quick Sprout, is really more of a side project. But that hasn’t stopped Quick Sprout from exploding in popularity and earning Patel recognition as a Top 100 Technorati Blogger. 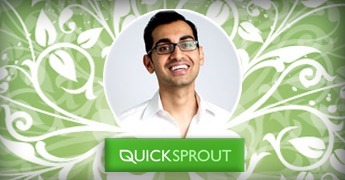 I’ll profile Neil Patel below and explain how Quick Sprout helps him earn a million dollars a year even though turning a profit was never part of the plan. Have you ever had a strategy that was so effective that you weren’t sure if you wanted to share it with everyone else? Since Quick Sprout’s subject is online marketing, many of Patel’s readers are bloggers and business owners. In other words, they’re his competition. In business negotiation, Neil Patel advocates being assertive and cutting people off in conversation in order to demonstrate that you are “the alpha male of the group.” He says it helps you come off as confident, nonchalant, and in control. Writing with confrontational confidence doesn’t just attract readers, comments, and social sharing. It’s also just makes for better, more interesting writing. The most important decision a blogger ever makes is what subject to write about. Quick Sprout covers two: managing a business and online marketing. Depending on how you monetize your site, different categories of content will be more profitable than others. You can use Google free analytics tool or Patel’s own Kissmetrics software to determine the most profitable subject for your site… and then start churning out more of that type of content. It’s estimated that Google makes a change to its search engine once every 1.75 hours. Even if you succeed in gaming the system, it won’t last forever. Your energy would be better spent giving Google what it actually wants: authoritative websites that provide value to Google’s users. Patel has 10 years of experience in SEO and a heaping helping of natural talent. Quick Sprout’s about page reads, “I was born with a gift, in which I am able to help websites get a ton of eyeballs through the web.” Neil Patel’s SEO consultant clients include Microsoft, TechCrunch, and Amazon. But even he can’t get you on the front page of Google overnight. One of Neil’s biggest pieces of advice for people hoping to get more traffic to their website is to think long-term. He advises that you pace yourself while link-building, pay more attention to monthly traffic than daily traffic, differentiate between fads and trends, and above-all be patient. In a recent article, Patel told a tale of two big websites and their very different approaches to driving traffic. While About.com has become a “content farm” focused strictly on SEO, The Atlantic told their writers to stop worrying about SEO and become social media friendly. While About.com has been diminishing, The Atlantic’s web audience has grown from 500,000 monthly visitors to over 13.4 million today. Obviously social sharing drives traffic, but it has started to play a major role in rankings as well. Google is actively counting pluses, tweets, and otherwise socializing it search rankings. So while Patel maintains that traditional SEO will always be part of the game, a site’s traffic depends increasingly on content that is socially shareable. If you’re writing longer, better optimized posts in order to please algorithms, it’s about time you start writing to please your human audience. Neil uses the sleek Hello Bar plug-in to get people to a page where he offers SEO consulting. It’s a thin, customizable pixel bar that rests at the top every page on his site and can be minimized with the click of an arrow. Other examples of bloggers using Hello Bar are Tim Ferris, Gary Vaynerchuk, and Nicholas Tart. This short sentence piques the reader’s interest, offers specific results, generates qualified leads, and gives a clear call to action. In my blogger profile of Matthew Inman, I wrote about how The Oatmeal’s sub-70px header allows more room above the fold for content. But Quick Sprout’s header is even slimmer and simpler: it’s just four links, a search bar, and a logo. The slim header works both aesthetically and practically, since it’s especially important for Quick Sprout to leave room above the fold since Patel is using the Hello Bar plug-in. But more importantly, the simple design encourages conversion. Instead of overwhelming visitors with an array of choices, there are only five links to click at the top of Quick Sprout – and two of them take you to Neil’s consulting business. An ‘about’ page is powerful. Not only is it heavily trafficked, it’s also an ideal spot to make a first impression, give people a reason to come back, and build a brand. Quick Sprout’s ‘about’ page does all of these things, but in a highly unusual way. There’s no mission statement. There’s no call to subscribe. And most amazingly, there’s no mention of Quick Sprout at all. Instead, there’s this self-deprecating caricature and a 2,000 word life story. By the time you’ve finished reading you don’t know the first thing about Quick Sprout, but you know everything about Neil Patel, you like him, and you trust him as an expert in his field. Another highly unusual thing about Patel’s ‘about’ page? It has 1,405 comments – and that means it’s really making a connection with readers. “Blogging is the easiest way to get big companies. I didn’t have to pitch to Airbnb. They wanted to work with me because of the brand I had built. Thanks to Quick Sprout, people know me as a marketing expert. “Here’s how: I give away so much free content on my blog that big companies find me and pick me up. Without my blog, Intuit wouldn’t have known I existed. Instead, I have almost a half-a-million dollar contract with them. Patel is so ambitious that he sees blogging as limited because a successful blog earns “probably still under a million bucks a year.” Most of us would be pretty happy with that type of income. So why does a busy many like Patel continue to maintain his blog week after week? 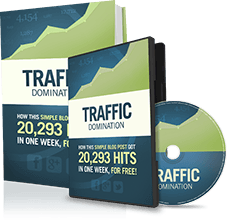 Quick Sprout helps KISSmetrics make more money by sending it well-qualified traffic. But it also does the same thing for Crazy Egg. If Patel were to sell both companies tomorrow for $100 million, he would still have Quick Sprout – which means he would still have a powerful tool in launching, promoting, and monetizing his next startup. CrazyEgg pricing plans range from $9-$99 per month while KISSmetrics will cost you from $29-$499 monthly. Patel’s consultant fees started at as little as $100 but now he’s worked his way up to contracts of over $100,000 per month. Recurring income like this is the foundation of financial security and a thriving business. As I said at the beginning, Quick Sprout isn’t Neil Patel’s full-time employer. In fact, when we interviewed Neil for Income Diary’s Web 20 project, we mostly asked him about KISSmetrics and Crazy Egg. Off the top of his head, Patel offered up a dissertation on everything from creating company culture to doling out stock options. We only got to talk with him for an hour, but one thing was clear: the man on the other line was staggeringly intelligent and vital. Above all, this is why Quick Sprout succeeds. Our work is a reflection of our selves. Patel is just so experienced, so multi-talented, so dedicated, passionate, and personable… and Quick Sprout has no choice but to reflect that. It’s all about the hustle. Move as quickly as possible and don’t let anything stand in your way. If you mess up and you fall down, learn from your mistakes and keep on pushing forward. Thanks Lewey. A little bit of pre-writing and formatting goes a long way. Yep – Neil does so much right. Great blogs, great products… I would recommend Quick Sprout to anybody looking to start an online business, whether beginner or advanced. Great article Nick : Neil is definitely an inspiration. I like his no BS approach…but then again he is in a position where can allow himself to be like this : not sure if everyone should behave like the alpha-male, esp in front of clients ! I would agree with you if I hadn’t heard Neil’s story about closing his first sale as a kid. He had his client write the check out to a company that didn’t exist yet! Neil’s come a long way since then, but it’s obvious that he’s been acting like an alpha male long before he had a right to. Great job, Scheidz. On a sidenote, CrazyEgg just bought Hello Bar. And he must’ve added that about caricature within the last few weeks because it wasn’t there last I checked. How do you know the pixel-heights? You check Neil’s about page every few weeks? That’s dedication… or obsession. I may have been wrong about the pixel height of the Hello Bar – or even that it has a set pixel height. Anyway, that’s cool about CrazyEgg buying Hello Bar. I guess Neil really likes it. Amazing article with tons of information! Neil’s success is truly inspiring. Thanks for sharing Nick and great writing! Very interesting to learn more about Neil! I’ve heard his name tossed out there quite a few times but never actually did a bit of research to learn more about him – just checked out his site and added it to my RSS reader – looks like some awesome content there! Absolutely worth reading. I’m glad that you liked what you saw. Great post, Nick. As always I like your formatting style and the content full of information. Neil is a great blogger but can you perhaps interview someone who has a blog that makes a quarter of the money Neil makes per year? Looking forward to your posts. Nick, my great take away “Give Google what Google Wants” Isn’t that freaking awesome,not is so many words but insightful. What do you think of this line? Yeah, this was one of the best pieces I’ve read this week. Keep up the good work. Site added to my blog roll. Im new here, and I haven’t stopped reading this site since yesterday. Very “fascinating” stuff. This post is far more than valuable knowledge that related to business building. Wow! Excellent post on a man who is clearly a genius and has mastered the art of thinking big. Thank you for sharing this Nick! “It’s all about the hustle. Move as quickly as possible and don’t let anything stand in your way.” Great quote.